Well, I identified three dresses needing more than their share of tender, love and care. It really isn't my favourite task, but this Saturday, two hours before heading out for some cocktails and wine (and cheese, as it turned out) I felt that I really needed to wear the one with torn sleeves. Not wanting to actually wear the torn sleeves, I started with ripping the seams. 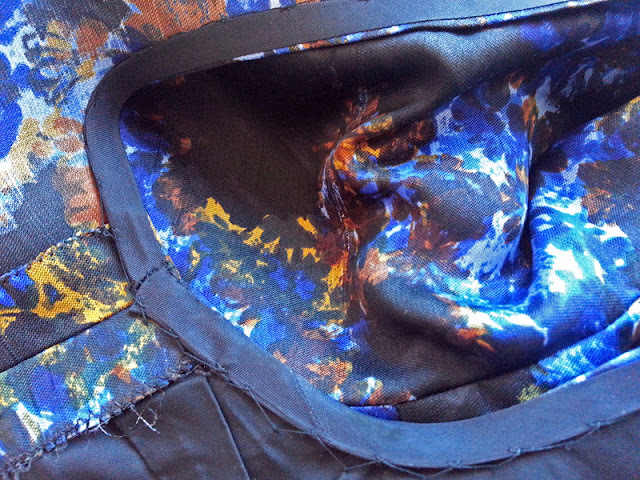 (See the old stitching line and a rather sloppy seamstress (not me! The original seamstress!) who didn't follow it? I love seeing things like this!) I had some acetate bias binding that I made ages ago - to bind the seams of the grey Christian Dior dress I think - that was a good match. 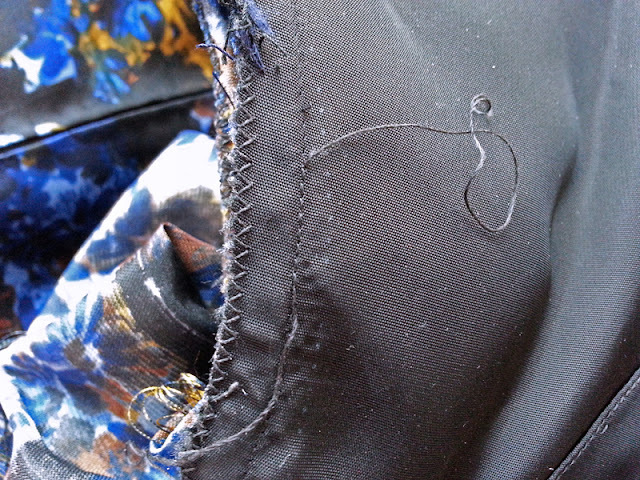 I sewed the first round by machine (one from the inside instead of the outside, a bit stressed as I was. Just to un-pick and do over again) and then turned them in and secured by hand. The fabric was torn in the vent as well, but I didn't have time to make it proper; I just secured it and went out. But I did finish the vent the day after, to my great surprise. 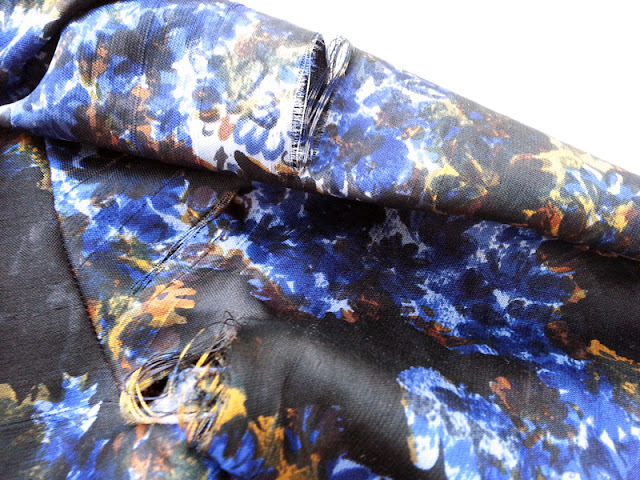 I removed the placket that was torn beyond salvation, reinforced the slit with silk organza and moved the crease where the fabric was all in threads. 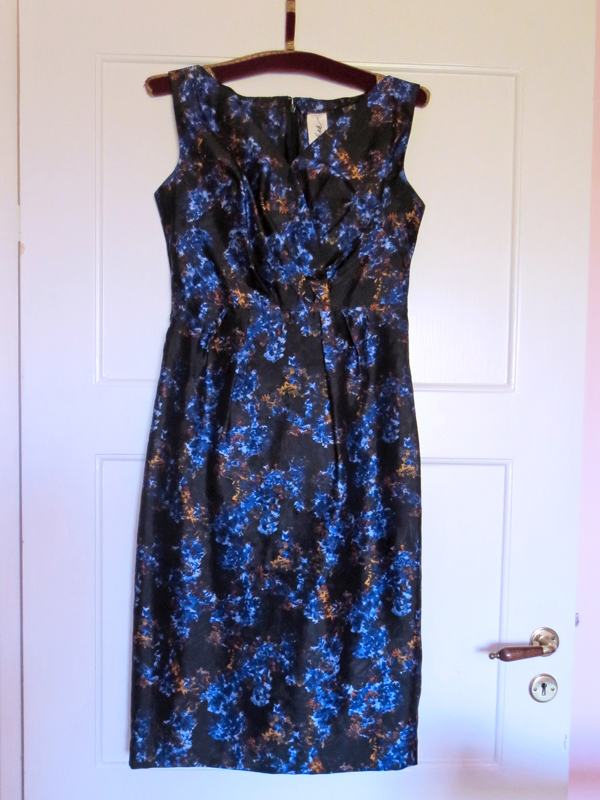 I also lengthen the slit a couple of centimetres and shortened the skirt with about four centimetres. It's still well below the knee, but not as much as before. I really love the dress, especially the draped front. I should try to copy that sometime - along with three quarter sleeves. I do prefer sleeves, but I'm glad that this dress can be worn again. By the way - can any of you read what it says on the label (except for Wien (Vienna) that is)? I've seen several beautiful made dresses from this label, but can't find any information on the lovely internet no matter what combinations of letters I use. i think it is maschek ,wien ! ? Hi Katrin! Maschek! Tell me more - is it a store, a designer, a brand? Does it still exist?